We've breezed thru' the first month of the year. Many, many things happened in the month of January. Not all of them good. Hopefully February will be better, all round. I've chosen 'hammered' rose quartz nuggets - rose quartz being the stone of unconditional love, opening up the heart chakra - and smooth rose quartz nuggets to finish off this romantic piece. 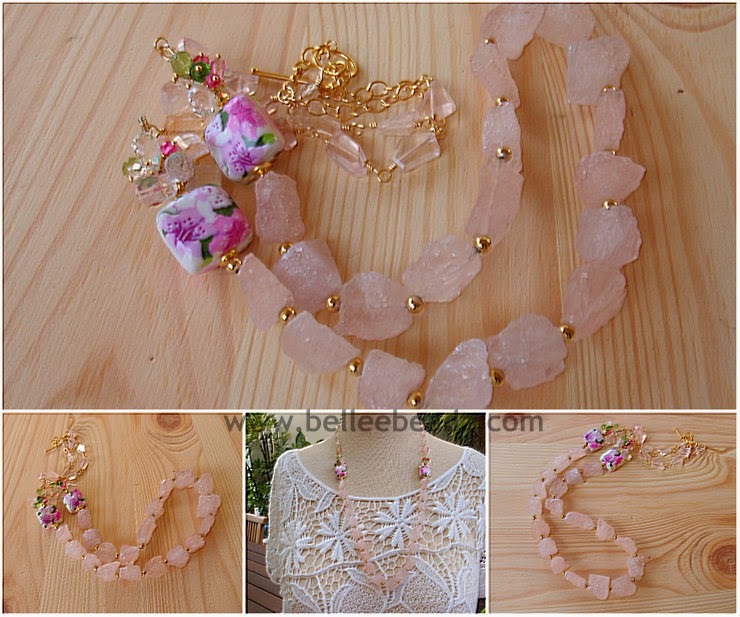 Polymer clay pillows and posies of peridot, pink quartz, rock quartz and rose quartz rondelles and brios enhance and complement the lovely colours of the clay beads. Ends with gold filled chains and vermeil toggle. 27" from end to end.